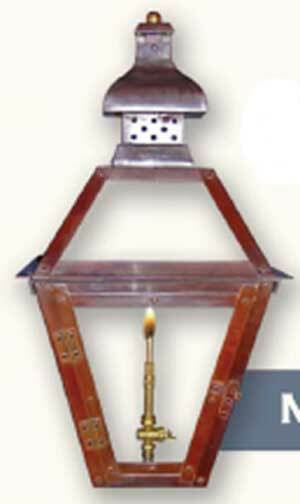 Primo International Memphis Gas Lantern is a beautiful 4-sided gas lantern. The Memphis gas lantern offers interesting lines and contemporary style. The lantern also has a unique decorative top which further adds beauty to its style. The contemporary styled lantern comes with different mounting options. The gas lantern comes with the standard wall mount bracket which is included at no additional cost.